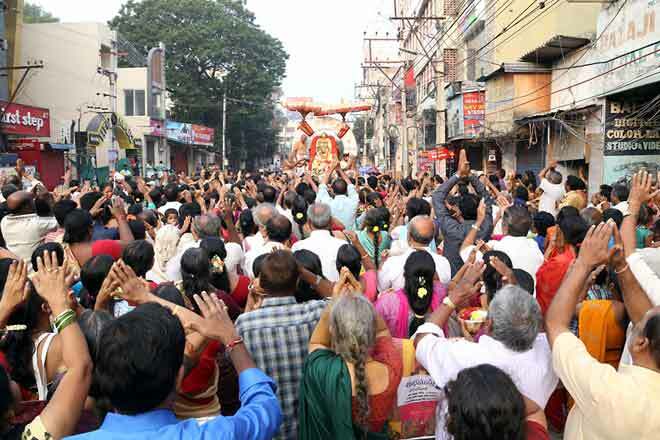 Procession of Lord Malayappaswamy held on the occasion of Radhasapthami Festival in Sri Vari Temple, Tirumala. 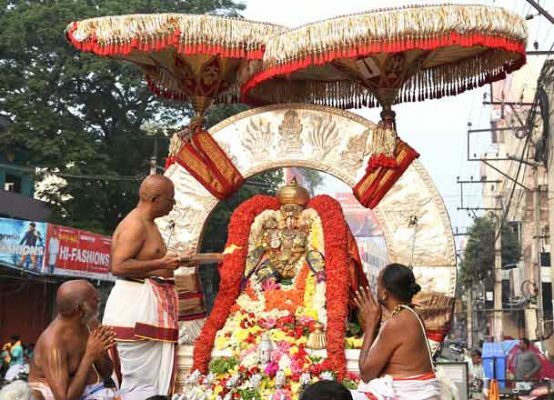 Tirumala: Processional diety of Lord Malayappaswamy along with his consorts were taken around in procession on Kalpvrukha Vahanam from 4 pm to 5 pm in connection with Radhasapthami Festival in Sri Vari Temple, Tirumala on Tuesday. 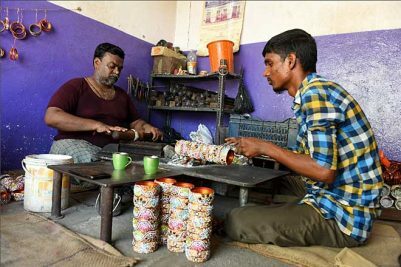 Lord took a colourful ride on the Kalpavruksha Vahanam – the celestial tree, the tree which grants boons and fulfills the desires. Lord Malayappa Swamy was decorated tastefully, graced the devotees along with his two consorts, Sri Devi and Bhu Devi. TTD Executive Officer Anil Kumar Singhal, Tirumala JEO Sri KS Sreenivasa Raju, CVSO Sri Gopinath Jatti, TTD Trust Board Members Sri Sudha Narayanamurthy, Sri Peddi Reddy, Sri N Krishna, Sri P Ramesh Babu, Addl CVSO Sivakumar Reddy, Temple DyEO Haridranath, Temple Peishkar, Sri Ramesh, VGO Sri Manohar and large number devotees took part.